"For many, the call to be a Christian can seem demanding, even overwhelming. But we need not be afraid or feel inadequate. 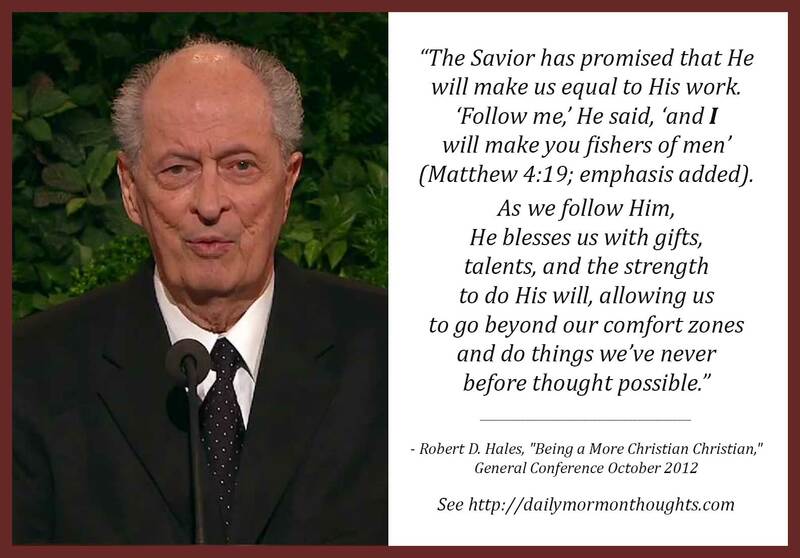 The Savior has promised that He will make us equal to His work. 'Follow me,' He said, 'and I will make you fishers of men' (Matthew 4:19; emphasis added). As we follow Him, He blesses us with gifts, talents, and the strength to do His will, allowing us to go beyond our comfort zones and do things we’ve never before thought possible. This may mean sharing the gospel with neighbors, rescuing those who are spiritually lost, serving a full-time mission, working in the temple, raising a child with special needs, loving the prodigal, serving an ailing companion, enduring misunderstandings, or suffering affliction. It means preparing ourselves to answer His call by saying, 'I’ll go where you want me to go; I’ll say what you want me to say; I’ll do what you want me to do; I’ll be what you want me to be' (Hymns, no. 270). "To be who Heavenly Father wants us to be, we follow Jesus Christ. I testify that He is continually calling us to follow Him. If you are just learning about the Christian commitment of Latter-day Saints or if you have not been fully participating in the Church and want to follow Him again—fear not! The Lord’s first disciples were all new members of the Church, newly converted to His gospel. Jesus patiently taught each one. He helped them fulfill their responsibilities. He called them His friends and laid down His life for them. And He has already done the same for you and for me." "The call to be a Christian" is offered to all of us. We are all invited to follow Him. Those who choose to accept the invitation and strive to become disciples, according to Elder Hales, are blessed "with gifts, talents, and the strength to do His will"—thus far exceeding their own capabilities. When we express our willingness, His help comes to us personally and directly. So while it isn't always east to truly follow Him, it is certainly possible—with His help. 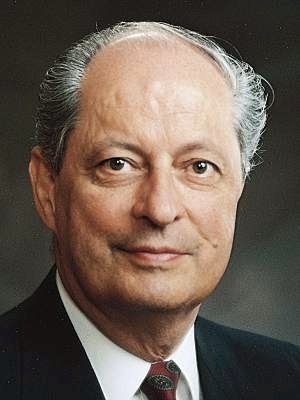 What a testimony of a loving Father and a devoted Savior, who do all They can to bless us and help us succeed in the assignments that come to us! Labels: discipleship, divine help, Hales Robert D.